Featured: A Delicious Discovery: Red Delicious Apple Now one of the world's most familiar apples, Red Delicious was discovered by chance; an event that vaulted Stark Bro's into the chronicles of apple lore. Remembering 200 Years In 2016, Stark Bro's celebrates its bicentennial year. 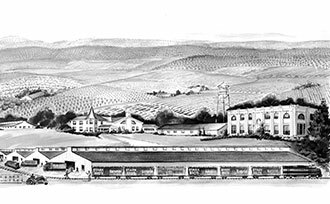 These chronicled snippets from the past 200 years provide insight to our company's history. 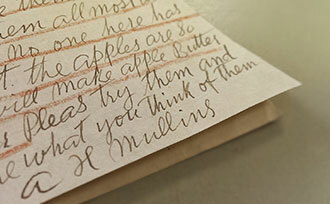 Little Old Letter: Big Piece of History 100 years old and still intact, read a big part of Stark Bro's history: the letter from A. H. Mullins about what would become the Golden Delicious Apple. 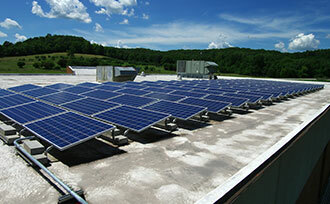 Stark Bro’s Goes Greener with Solar Who says you can’t teach a 198-year-old dog new tricks? Stark Bro’s installed 300 solar power panels on 3 of our Louisiana, MO facility buildings in 2014. 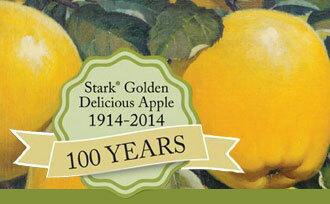 The Trail of The Golden Apple Now over a century old, the Golden Delicious Apple has a special place in Stark Bro's history. From 1914, here is the story of how it was discovered. 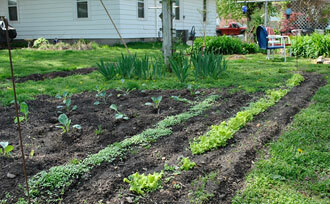 Growing History: Victory Gardens Throughout our nation’s history, from Victory Gardens to today’s "grow-your-own" movement, Stark Bro’s has been an enthusiastic leader and participant. 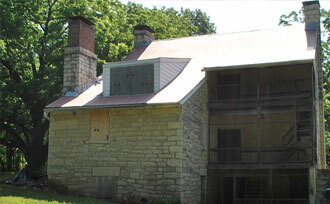 Fruit & Nut Trees of Historical Significance Near this historic home is the Daniel Boone Hays house, where Daniel Boone's grandson lived. On this property sits some old fruit trees. Today We Celebrated Today we celebrated — because the fact that Stark Bro’s is almost 200 years old is not a trivial thing. 10 years ago, Stark Bro’s almost ceased to exist. 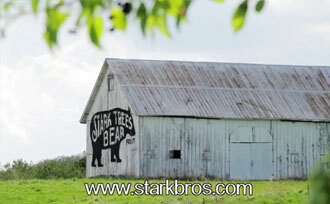 The Best of the Best Stark Bro's legacy is built on more than just two centuries of growing trees. We also have the best customers we could ask for — and we thank you. 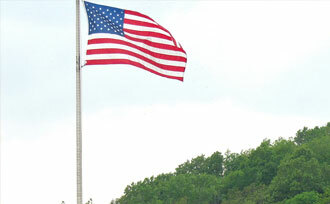 A growing legacy since 1816. 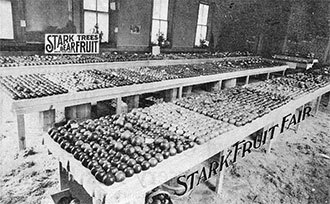 For over 200 years, Stark Bro's has helped people around America provide delicious home-grown food for their families. 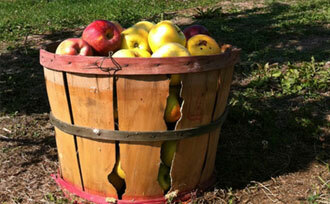 We love to keep in touch with our customers and talk about what's happening each season at Stark Bro's. 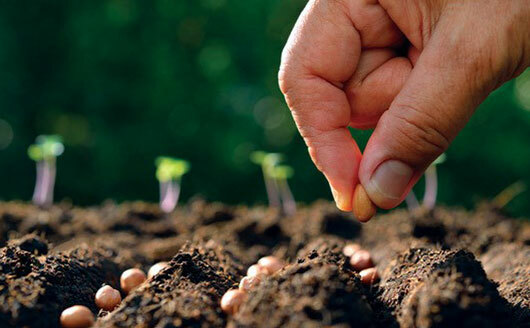 Follow us on your favorite social networks and share what you grow! You'll find answers to many questions on our FAQ page. If you need further assistance, we're always eager to help. ** Flat-rate shipping is for new orders only, and may not be applied to existing orders. Flat-rate shipping is not available on orders shipping to Alaska. Offer expires 11:59pm CDT, April 22, 2019. * Arbor Month promotion runs from Thursday, April 4, 2019 to 11:59 pm CDT, Tuesday, April 30, 2019. Promotion applies to daily selected trees only. Promotion is for new orders only and may not be applied to existing orders, wholesale orders, or order shipping to Alaska. © 2019 Stark Bro's Nurseries & Orchards Co.